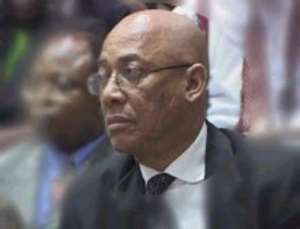 Ghanaian Judge Emile Francis Short has been appointed as one of the judges in the trial of four former Rwandan ministers accused of genocide, which is set to resume on June 7th before the International Criminal Tribunal for Rwanda (ICTR). According to the External Relations and Strategic Planning Section of the Tribunal, the appointment of Judge Short follows a request by the ICTR President Judge Erik Mose (Norway) to the Secretary-General of the United Nations Kofi Annan. The trial was adjourned indefinitely on May 4th 2004 after the resignation of the presiding judge, Asoka de Zoyza Gunawardana (Sri Lanka) from the Tribunal due to health problems. Permanent Judge Khalida Rachid Khan (Pakistan), who was one of the three judges who initially heard the case, will now preside over the trial. She will be assisted by Judge Short and Judge Lee Muthoga of Kenya. Short and Muthoga are ad-litem (not permanent judges). The trial which started November 6th last year groups together former Minister of Health, Casimir Bizimungu; the former Minister of Foreign Affairs Jérôme Bicamumpaka; that of Commerce, Justin Mugenzi; and Prosper Mugiraneza, former Minister of Public Service. They each face six counts of genocide and crimes against humanity. The trial was adjourned in March after the evidence of twenty-eight prosecution witnesses and was scheduled to resume in May. All the four accused have consented to have the trial continue from where it stopped.